Countries, Wake up! What is Being Done against Climate Change? The Paris Climate Agreement was adopted on 12 December 2015 and has been effective since 4 November 2016. The agreement called on all participants to submit an action program to the convention in order for the latter to reach its goal, i.e. undertaking ambitious efforts to counter climate change and adapt to its effects. The action program must include a nationally determined contribution and must be updated every five years. On 25 September, the OECD, the UN Environment Programme and the World Bank Group reported in Financing Climate Futures that only 9 of the 180 signatories to the Paris Agreement had sent their concrete programs to reduce greenhouse gas (GHG) emissions. What can the latter teach us? This paper will analyze the programs of four countries with very different energy mixes: France, Germany, Ukraine and Benin. France justified its strategy in the document entitled France National Low-Carbon Strategy. The document’s purpose is to implement the Paris Climate Agreement goals at the national level. In it, France is presented as a historically low carbon system, partly thanks to its nuclear power. The country’s climate strategy consists of "pursuing its efforts" and reducing the use of coal and fossil fuels (8% of the French energy mix in 2015). Transport is the sector emitting the most greenhouse gases (27% of GHG emissions in 2013). Compared with 2013, the reference scenario’s target is to reduce transport emissions by 29%, and by at least 70% by 2050. 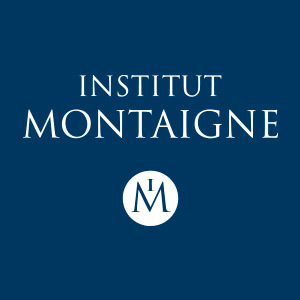 Institut Montaigne made recommendations on this matter in its report What Role for Cars in Tomorrow’s World?. According to the World Bank, in 1990, France’s GHG emission level was 554,685 kilotonnes (kt) of CO2 equivalent. It was 527,525 kt of CO2 equivalent in 2009 (a 4.8% decrease in comparison with 1990) and 499,146 kt of CO2 equivalent in 2012 (a 10% decrease in comparison with 1990). At this pace, and if investments in the energy transition do not increase, reduction targets will not be reached by 2030 and 2050. Several initiatives have been set up to meet these goals. The French government wants to increase the carbon share - based on the fossil carbon content - of domestic energy consumption taxes, in order to cut GHG emissions fourfold. The aim is to go from €22 per tonne of CO2 in 2016 to €56 per tonne of CO2 in 2020, and €100 per tonne of CO2 in 2030. Other priorities should be emphasized, such as improving energy efficiency in buildings and redirecting investments towards green projects, notably by creating labels to enable a more comprehensive consideration of elements related to environmental issues. The Climate Action Plan 2050 was adopted by the German Council of Ministers in November 2016. The German government took into account the findings of studies, scientific scenarios, and particularly a document with 97 proposals for action put forward by German Länder, municipalities, associations and citizens between June 2015 and March 2016. The Climate Action Plan provides landmarks to help reach the country’s national climate goals, in accordance with the Paris Agreement. The long-term goal is that greenhouse gas emissions be reduced by 80% to 95% between now and 2050, and that Germany becomes neutral in terms of GHG by the second half of the century. To do so, Germany wants to reduce its emissions by at least 55% by 2030, compared with 1990 levels. 1990 levels represented 1,256,074 kt of CO2 equivalent, while 2012 levels amounted to 951,716 kt of CO2 equivalent. There has thus been a 24.2% decrease between 1990 and 2012. In 2011, however, GHG emissions represented 922,540 kt of CO2 equivalent. GHG emissions decreased until 2011, but increased after the shutdown of nuclear power plants. There are 500 CO2 emissions in grams per kilowatt in Germany, in comparison with only 80 for France. This can be explained by the fact that nuclear energy is still the latter’s main source of electricity. At this pace, and if Germany does not replace its large consumption of fossil fuels (largely coal that replaced nuclear energy), the Germans will not achieve their goals. In order to succeed, the German government launched several initiatives. First, on 6 June 2018, it set up a Commission on Growth and Structural Change and Employment. Working with many partners, including the Länder, the latter aims to develop regional decarbonization perspectives that identify stages of implementation and create the necessary conditions to attract funding. By December 2018, the Commission will produce a roadmap for coal phase-out. The Climate Action Plan comprises several other initiatives worth mentioning: a roadmap leading to a practically neutral housing stock (currently responsible for up to 30% of Germany’s greenhouse gas emissions), financial aid for renewable energy heating systems or the development of an R&D program focused on reducing emissions that impact climate. The German strategy is based on the willingness to emancipate from the use of coal while investing in renewable energies - which is characteristic of countries with significant funding - as well as on the improvement in the energy efficiency of its GHG emitting sectors. Ukraine’s 2050 Low Emission Development Strategy sketches a scenario entitled "Energy efficiency, renewable energy, modernization and innovation, transformation of market and institutions". The implementation of this scenario would reduce the country’s 1990 levels of greenhouse gas emissions (953,118 kt of CO2 equivalent) by 30% by 2050. The case of Ukraine is particular. Its GHG emissions decreased by 57.5% until 2012 to reach 404,900 kt of CO2 equivalent, but the country would like to increase its consumption up to 650,000 kt of CO2 equivalent in order to develop. Its goals will therefore be achieved if infrastructures are developed rapidly. Public-private partnerships, along with an increased cooperation at both the European and international level, are envisaged to finance its energy efficiency projects. New power plants will be created or renovated to co-use biofuel and fossil fuel. Biomass is an energy on which Ukraine will significantly rely for its energy transition. Nuclear energy is also important in decarbonization. The current reactors will be replaced by a series of new smaller reactors powered by new technologies. Ukraine has limited investment resources, so its strategy is focused on affordable energy and private and public funding, particularly via the European Union. Many key, if not vital, sectors in Benin are impacted by climate change, especially agriculture, which is very affected by droughts. Benin outlined its long-term strategy in the document Low Carbon and Climate Resilient Development Strategy 2016-2025. The government wants to renew the uses of agricultural lands in order to restore soil. Because its financing capacity is limited, Benin is looking to attract external funding from organizations such as FAO, IMF, Green Climate Fund or UNDP, especially for energy infrastructure. The country counts on the help of the European Union and that of the French Development Agency. Benin depends, to a large extent, on its natural resources, which is why climate change is such an important issue for the country. Yet with limited funding capacity, the latter has no choice but to turn to external public or private funders to find ways to act on climate.